This is the best PowerPoint title slide tutorial on the Web. Period. 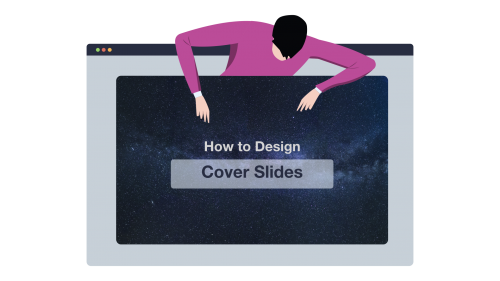 In fact, you’re going to learn a simple, 3-step process to designing awesome presentation cover slides that get your point across. In 5 minutes top. 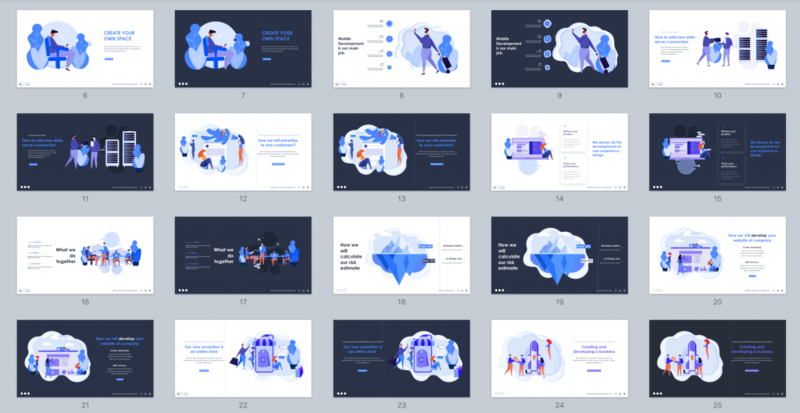 So if you want to finally create beautiful, professional introduction slides in a fraction of the time it takes other get your point across, you’ll love this quick guide. Anyone, including your grandma, should be able to understand what your PowerPoint title slide is going to be about. 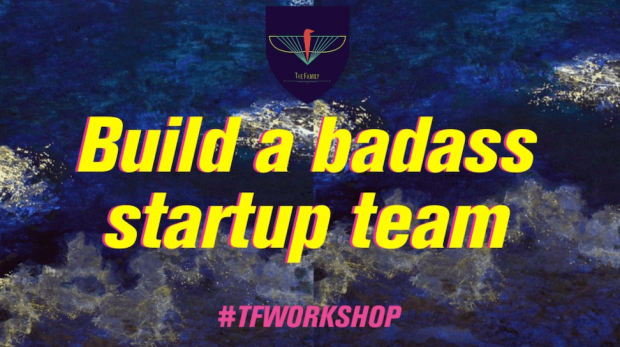 In this cover slide, we quickly understand that the presentation will be covering details (very likely tips) on how to build a successful team for your startup. Every presentation title slide has 3 “ingredients”. The process we’re about to follow will address how to deal with each of these elements. As you’ve guessed, the first option is the quickest one. And it doesn’t require any brain work at all. So we’re going skip it and cover directly how to proceed with the second option. Now that you have a clear topic for your presentation, you’re going to associate that topic with specific keywords. The point here is to find out keywords we’ll be using as search terms when looking for visuals online. 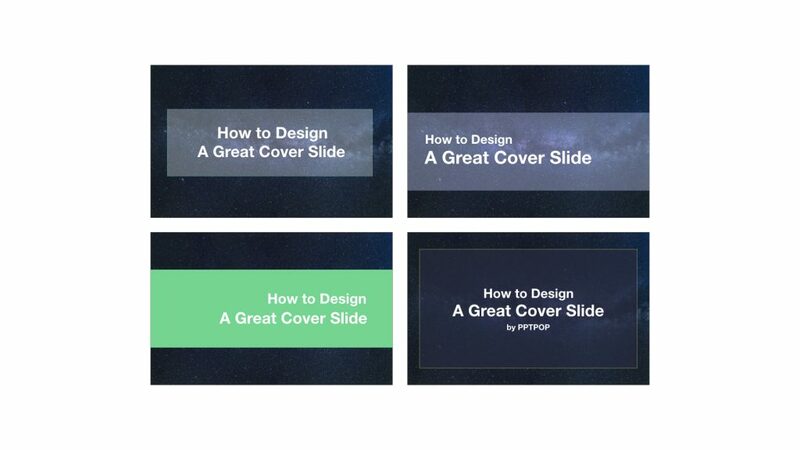 Now that you have a few keywords for your cover slide, you’re going to be looking for a relevant visual. First, check out the results. Then, select one picture that closely relates to the identified keyword. 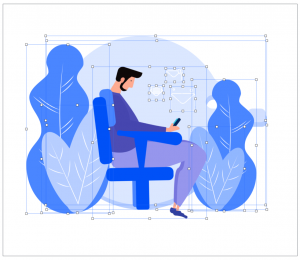 If you’re struggling with choosing between various visuals, then ask a few colleagues which one they prefer and go for the most popular option. 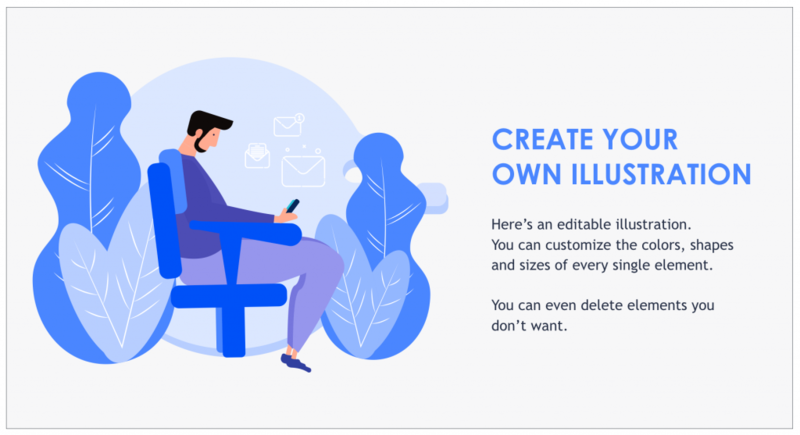 ✅Download visuals in high resolution (this is especially important if you’re presenting on a screen). ✅ To save time in the future, create a folder on your desktop. Anytime you stumble upon a great visual, just add it to your folder (get more tips just like this one right here). 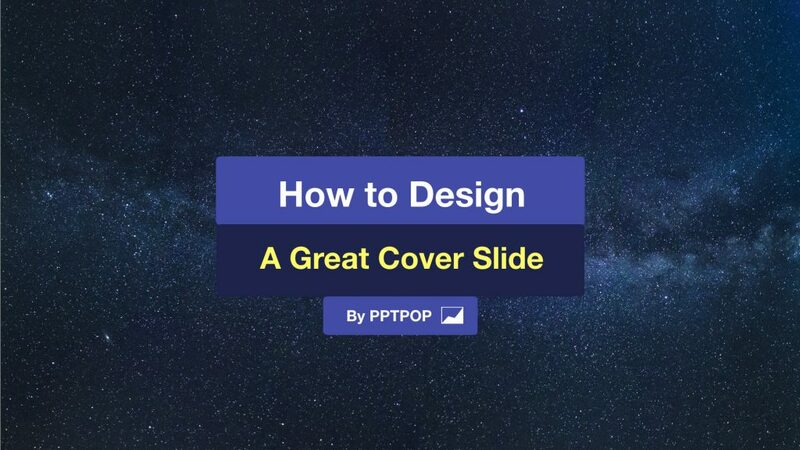 Now that you’ve found a visual that fits with your presentation topic, it’s time to decide which lay-out you will use to display the title of your presentation on your cover slide. 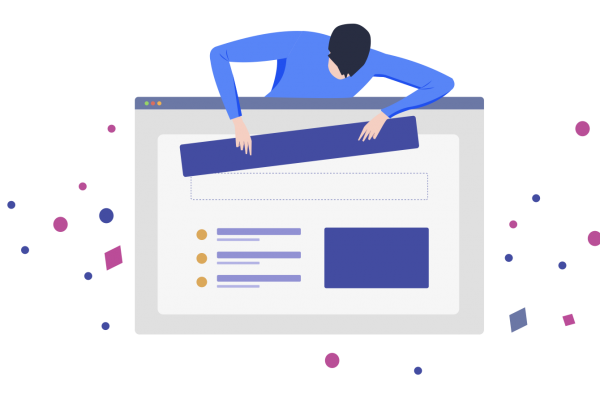 Your title slide shouldn’t have more than a headline (that resumes the content of your deck in a sentence), a name (yours or the one of your company), and a logo or a date. You can also customize your text bar playing with both color and transparency. Adding transparency allows people to see the whole visual behind. 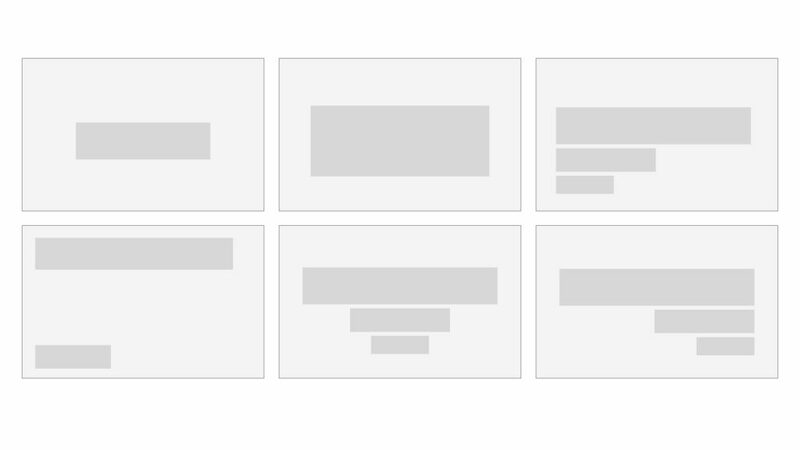 But use it with care: your first priority is to get readers to feel comfortable when looking at your slides. I recommend that you create one text box per line. 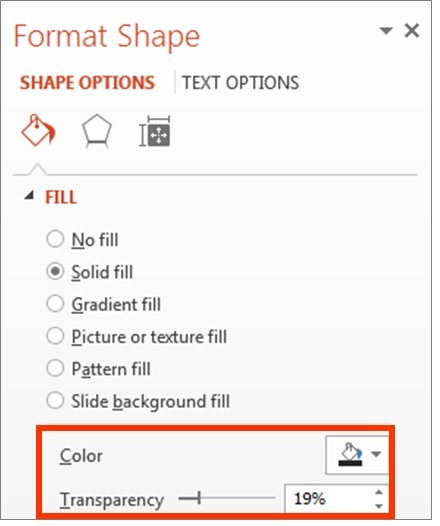 You’ll be able to customize both font size and overall style easier. Either align the text (to the left, the right or the center) for maximum coherence. 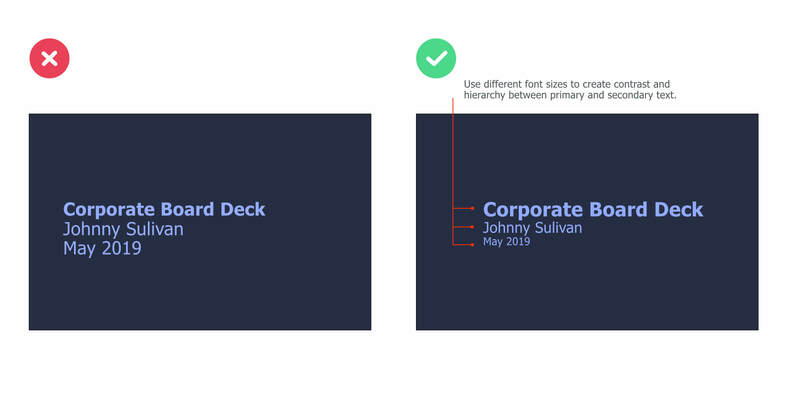 Modifying the font sizes is a great way to control the hierarchy within your title slide. 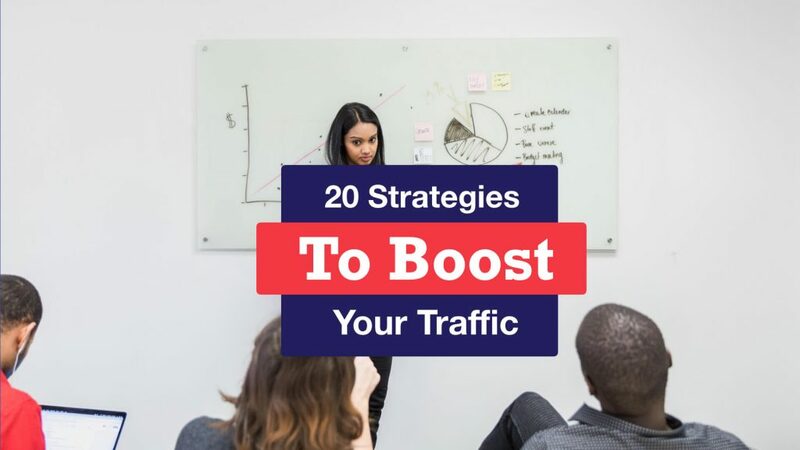 Plus, it helps your audience to immediately identify the important content from the less important one. 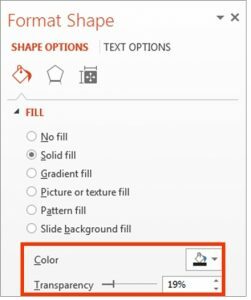 Now, the great news is that you can apply this technique on all types of slides. And it works especially well on cover slides. Changing the color of specific keywords you want to highlight is another great way to control the hierarchy (and contrast) within your slide. On top of changing the color, you can also change the typography (a.k.a. the font) of a specific part of your text to draw attention toward it. You can combine this technique with the previous one for even more impact. On this slide, we’ve used a different font for the “an amazing” text. On top of this, we’ve modified the color and embedded a rounded shape in the back. 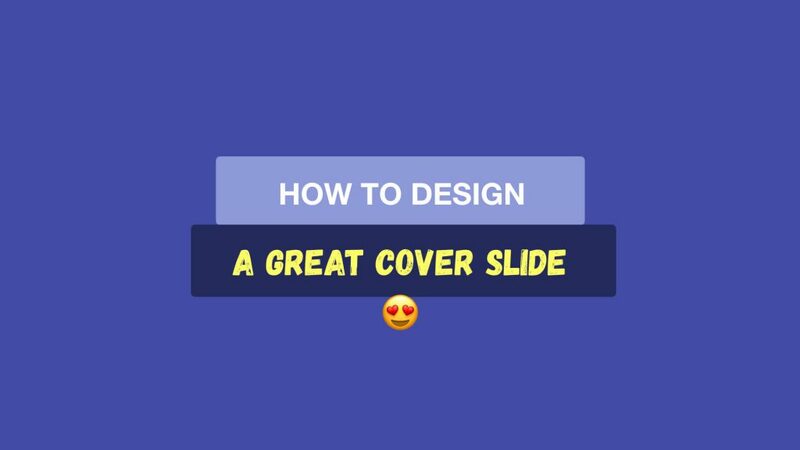 You can even add emojis to your cover slide text ! 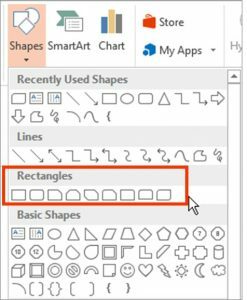 Get all your emojis here, and paste them directly in your text box. 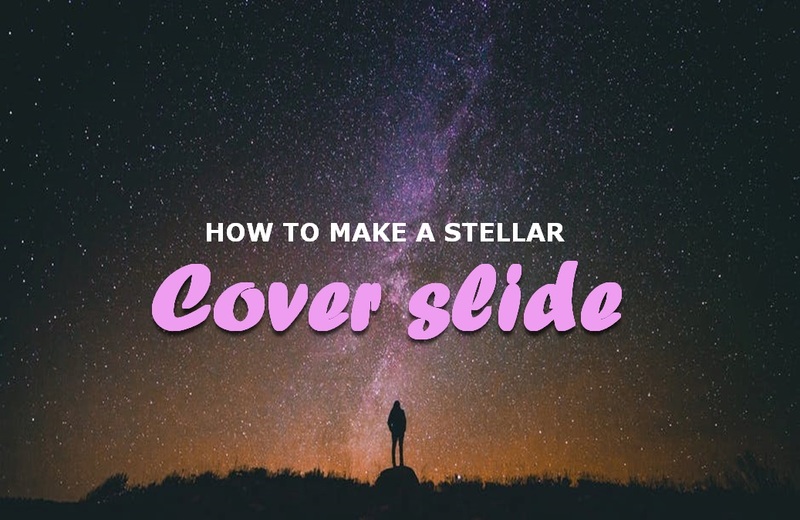 ⭐ Want to speed up your cover slide design process? Cover Slide Template by PPTPOP where I’m sharing the cover slide text lay outs I’ve used in this article. The keyword “stellar” that just translated perfectly what I wanted to communicate. Now, it’s time to move on to step 2. I opted to place the text in the center of the image. 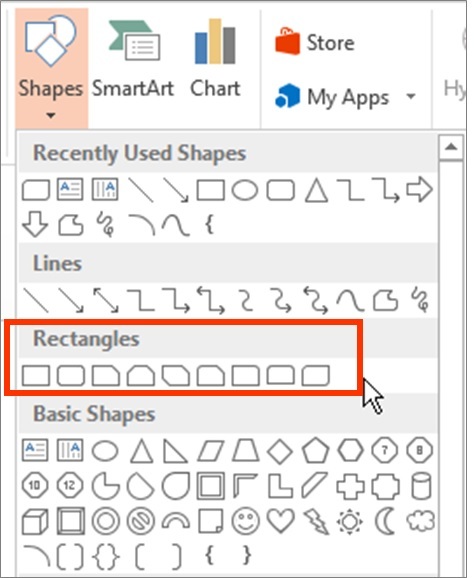 I decided not to use a rectangle shape to put my text on. Why? Because the visual was pretty plain itself and it was easy to read my text on top of it. If you can’t read the text easily on your cover, add a rectangle shape in between your visual and the text. I used a font called Forte for the “Cover slide” part. 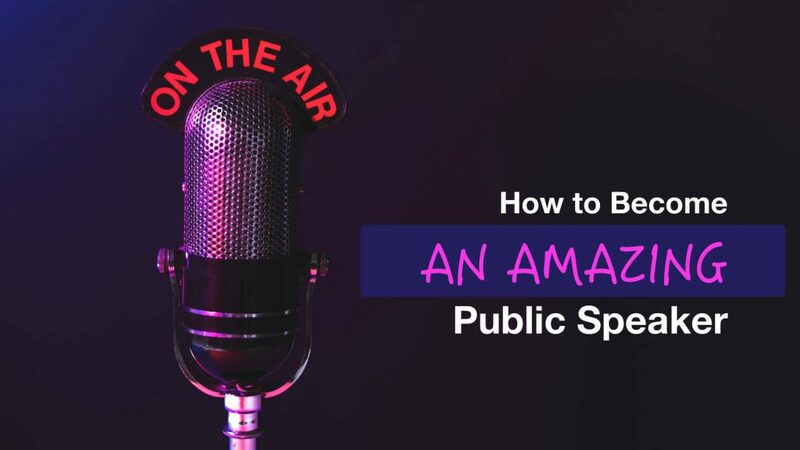 Are You Spending a Lot of Time to Make Presentations? 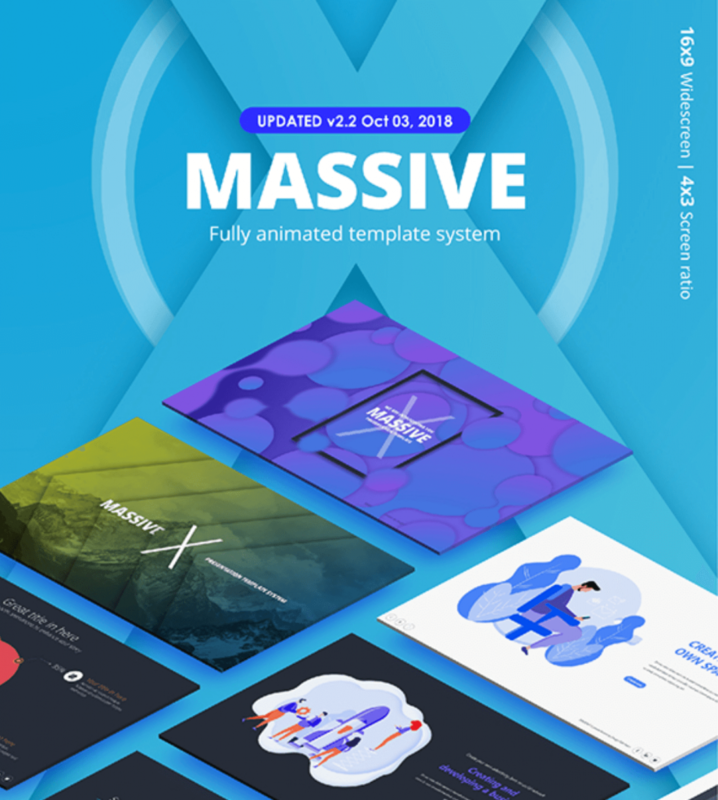 But what if you could design your entire presentations as professionally? 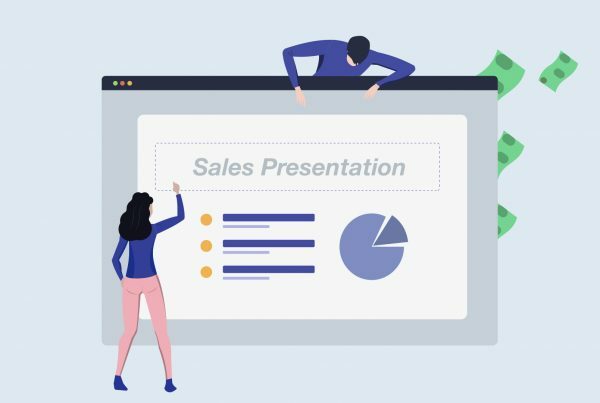 See, top performers like you know that presentations can have a huge impact on their business (and that’s why you’ve decided to research how to make better cover slides).